A proven creative leader with 15+ years of design, branding, social media and video production experience. I have named and authored the voice of a $5B brand, sparked meaningful change affecting over 18,000 people. I have a true passion for finding and developing creative talent and building strong multi-disciplinary teams. the brand and create unexpected experiences for key audiences. Collaborative by nature, I am a builder, a doer and a leader. Kaivan is a talented creative director with fresh, innovative ideas. I worked with him on several projects and his design work was always top-notch. He is patient and always willing to go to the extra mile to make sure your vision is realized. It was always a thrill to incorporate Kaivan’s designs into campaign proposals to business partners; there are few things that bring a communications strategy to life like quality design! Any organization would be lucky to have Kaivan as part of their team. Kaivan is a dedicated professional and does a brilliant job in his position of Creative Director. He is always willing to go the extra mile on projects and will always find an answer to one’s question. I highly recommend Kaivan in this position and as a true asset to any major corporation. 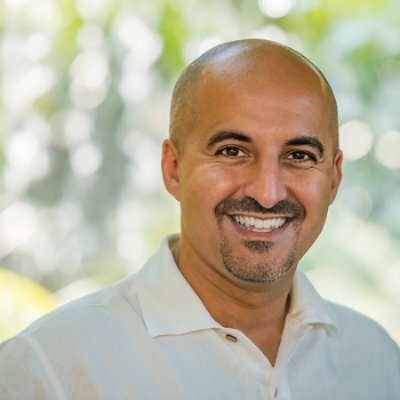 I have more than 20 years of communications experience and can recommend no one more highly than Kaivan Askari. He possesses a remarkable and unique combination of talents…inspired creativity, sound business sense, technological savvy and, most importantly, just general good guy-ness. Anyone would be lucky to have the opportunity to work with Kaivan. I know I am. Kaivan is a strong creative services leader who brings dynamic energy, outstanding creative talents and a gift for working both with business leaders and the ability to translate business needs into creative compelling deliverables. He is a positive calm force for his team and his clients even in the midst of a fast-paced environment. I worked with Kaivan for years and was always impressed with his ability to quickly understand the creative brief, ask the right questions and deliver great work. It’s challenging to find someone with both the creative department and team management ability and creative talent, and he brings both at a high level of performance. I had the pleasure of working with Kaivan at Flowerve. He always had an extraordinarily positive attitude and great professionalism, with attention to detail. He was always very responsive and thorough. Kaivan was an amazing classmate to have. He was always pushing the bar of the quality of work that was happening at the university. He always had great imaginative ideas and was one of the most dependable people to work with. There were few people who were more excited to help others or pitch in for projects. I worked with Kaivan on the 24 Hour Short Film project @ UT Dallas… He is an excellent communicator and felt right at home in taking charge of the team and leading us to the finish line. Kaivan was an enthusiastic student of the 3D arts when he attended the University of Texas at Dallas’ Art and Technology program. Whether it was 3D modeling in Zbrush or mocap cleanup in Motion Builder, Kaivan was always enthusiastic. What he did not learn immediately in class, he tried to learn from other resources, be it print, online or even advanced students. Should Kaivan mention that he studied various 3D disciplines, you can be assured he made a through study. Kaivan Askari is a very intelligent former masters graduate of the Arts and Technology degree program at The University of Texas at Dallas. His work was highly sought after on grant contract projects awarded to the ATEC program while he was a graduate student here. He is a very responsible young man, who is dedicated to producing the highest quality of work in his field. I am happy to recommend Kaivan Askari and to endorse his quailifications. Kaivan and I have worked on many different creative projects in the past and it was always an honor and a pleasure to be able to so. Kaivan was definitely a team player that contributed helpful criticisms and could always be counted on to be involved in implementing those ideas. It is apparent in his work that he is a very talented individual and I have always been inspired and impressed with his motivation and desire with anything that he has put his mind to. Above all, Kaivan has always been one of outstanding character and work ethic. I look forward to the day when we might be able to come together again on a project in the future.